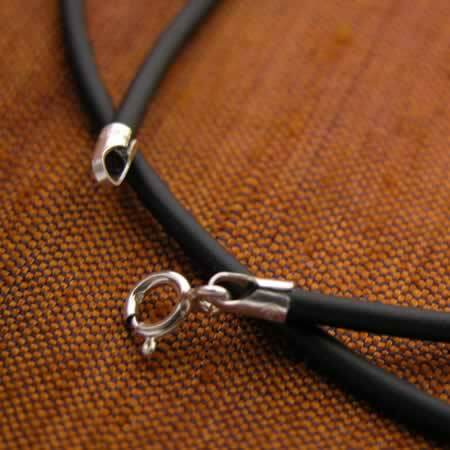 Rubber is hot, and this nice necklace is perfect for a medium weight pendant. 2mm thickness with sterling silver ends. Made in Thailand. Order by length.